On Sunday, he said the advisory committee had approved retrospectives of three artists for this year in Mumbai, including that of Barwe. Palekar was forced to cut short his speech at the event organised to inaugurate an exhibition of the works of the artist Prabhakar Barwe. But since the ministry of culture dissolved the committee and made a decision to take control over the gallery's activities, Palekar claimed, "Many of you may not know that this retrospective (the exhibition) will be the last show that is decided by the advisory committee of local artists and not by some bureaucrat or an agent of the government with an agenda of either moral policing or proliferation of certain art commensurate with an ideological incline". 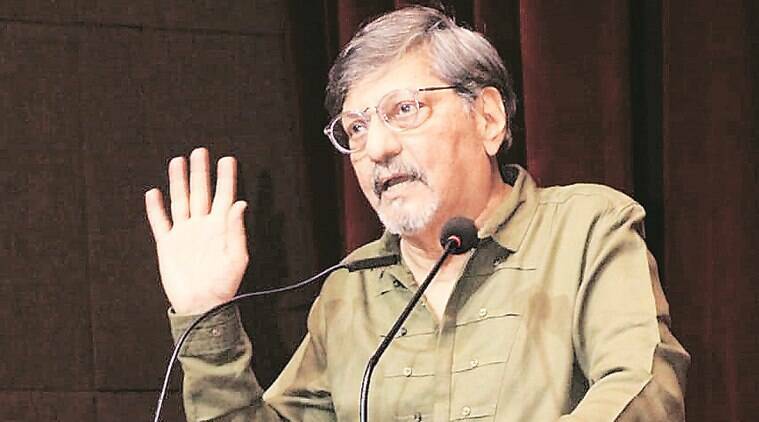 Mumbai: Days after noted actor Amol Palekar took a public stand against the ministry of culture for scrapping the local artists' committee at the gallery's centre in Mumbai and Bangalore, the ministry has issued a "clarification" claiming the advisory committee has not been dissolved. Palekar also expressed his dismay over the reaction of artists during and after the incident, which he said, has left him "shocked and deeply hurt". I wanted to raise these issues. This is respected space for all of us and hence we wanted to know why this decision was taken? An angry Palekar then asked, "Are you asking me to not speak?" "So the questions that I am raising are not being discarded". But no brief was given. Referring to these reports, Palekar said, "Many of you may not know that this retrospective will be the last show decided by the advisory committee of local artists and not by some bureaucrat or an agent of the government with an agenda of either moral policing or proliferation of certain art commensurate with an ideological incline". I was speaking at NGMA and the changes in the organisation's policy. "How then does this become irrelevant?" he said. Rather, it addresses current anxieties through the work and philosophy of a master artist. Art historian and curator Lina Vincent agreed. He said the organisers kept bringing up the issue of propriety. "NGMA has not even been buying art". In a statement, the ministry on Sunday said the terms of the Mumbai and Bengaluru committees had ended on November 15 previous year and that of the Delhi committee on January 17. Their terms ended recently and they are in the process of being reconstituted. "I also learned that Barwe's exhibition would be the last retrospective as a decision had been taken that of the five floors at the NGMA, only the fifth floor (the dome) would exhibit works of artists outside of NGMA". The decision of dissolving the committee was taken by the Ministry and he went on to criticse this decision of the dissolution.